A couple of weeks ago, we posted a video of the Queen’s Guards busting out an awesome rendition of Song of Ice and Fire, aka the theme to Game of Thrones. Well, I’ve just stumbled on a little gem from our own shores. 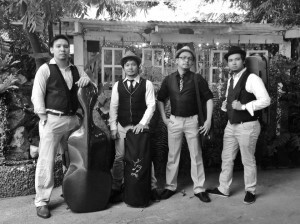 Meet the Manila String Machine, a local bunch of instrumentalist that are graduates from the top music institutions and have played with some of the prestigious orchestras, such as: San Miguel Philharmonic Orchestra, Manila Symphony Orchestra, Manila Philharmonic Orchestra, Philippine Philharmonic Orchestra, the FILharmoniKA and the ABS-CBN Orchestra. But you didn’t come here for the profile, you came for the geeky content. So here it is, Manila String Machine’s take on the Song of Ice and Fire. Post by Joseph Brian Ariza Cimafranca. You can check them out on their Facebook page for more of their covers. Click here! Previous articleGuardians does it right! Take note, Marvel. Next articleAdam Warlock was in Guardians of the Galaxy?